It is one of the best holidays and a personal favorite—Mother’s Day! This year, the city and suburbs abound with so many great selections—classic and new—to consider for your special family celebration. Whether you are headed downtown, eyeing up the Main Line, or venturing out to the countryside, AML has done our due diligence to highlight thirteen terrific selections to choose from for Mother’s Day 2009. These are in no particular order…so sit back, grab your favorite beverage, and enjoy our suggestions for your important and fun celebration of the great women in your life. Whether you will be toasting with your own mom, an aunt, sister or dear friend, we wish you a meaningful and wonderful day filled with great memories and a whole lotta love. Union Trust’s historic building is a breathtaking backdrop for your Mother’s Day 2009. When putting together our list, there was little debate that Union Trust Steakhouse, also known as ‘UT,’ should be among our picks. 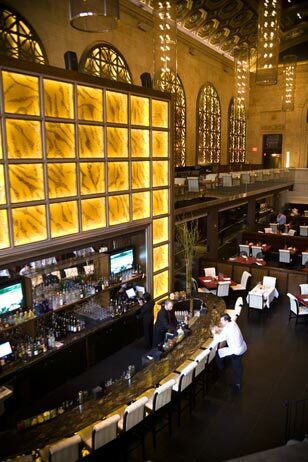 Center City’s phenomenally extravagant steakhouse, in the historic building that was renovated by French-American architect Paul Philippe Cret in 1923 and once housed The Union Trust Company, is the brainchild of seasoned restaurateurs Ed Doherty and several partners. UT opened to great acclaim in February and has not looked back. If there is one day of the year to roll out the red carpet for Mom, Philadelphia’s first independently owned steakhouse is the perfect pick. From an incredible raw bar (stocked with Shigoku oysters), top of the line USDA prime courtesy of Chicago’s prestigious Allen Brothers and a beautiful, experienced staff, UT will not disappoint. Expect a world class dining experience from the minute you walk up with mom to the hostess stand to the last little nibble of your key lime tart with citrus infused graham cracker crust and raspberry puree, courtesy of renowned pastry chef and New Jersey native Christina Diekewicz. Loaded with amenities, the spectacular old bank boasts 65 foot ceilings, red leather seating, a sensational wine list and a breathtaking mezzanine. Union Trust will open at 2 p.m. on Mother’s Day with their full dinner menu available. It’s all aboard at Marty Grims’ Moshulu. Show Mom how much you care by treating her to an elegant afternoon or evening on the world’s oldest and largest four-masted tall ship. The Penn’s Landing restaurant and Philly landmark offers a breathtaking setting-with majestic masts rising 200 feet above the Delaware River. Executive Chef Ralph Fernandez and his staff have a grand buffet planned for $49.95 per person from 10AM to 2:30PM. The Moshulu’s a la carte dinner for Mom’s Day runs between 5-9PM. And, whether you are in a private dining room or outdoor deck, the setting the ship offers is simply spectacular. Highlights of the brunch include: pancakes and waffles with seasonal accoutrements, carving stations featuring spiral glazed ham, whole prime rib and roasted turkey, create your own omelet station and more. 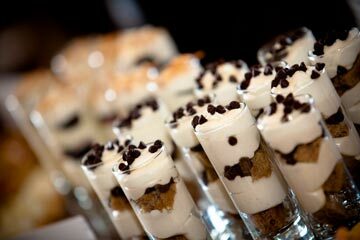 The dessert buffet will feature dual chocolate fountains and bite sized delights. Get ready to set sail on a spectacular Mom’s Day on the Moshulu. Walking the grounds of one of the region’s most popular gardens has become a Main Line Mother’s Day tradition for thousands of locales. 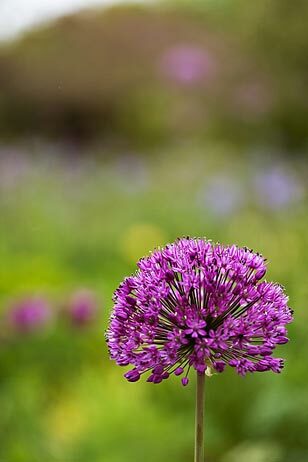 So much so, that last year the staff of Chanticleer was forced to put a nix on picnicking on their gorgeous 30 acres-due to the high volume of families who make this an annual Mom’s Day destination. The former Adolph Rosengarten estate is open on Mother’s Day rain or shine and is first come, first serve. Want to capture some gorgeous pictures of mom and the family among the perfectly manicured acres of gardens, lawns and meadows? The assorted Crabapples are now in full bloom in the Orchard as are the tulips. And, you can’t beat the price-$5 for adults, children under 16 are admitted for free. Chanticleer makes an educational and affordable choice for Mom’s Day. But, arrive their early (operating hours are 10am to 5pm) and be prepared to wait for parking availability, especially if Mother Nature cooperates. Conveniently located off of 76 and a stone’s throw from the King of Prussia Mall, the Valley Forge Radisson has quite a Mom’s Day brunch planned in their grand ballroom. Live entertainment, a piano player, table side magic, and a complimentary glass of champagne with brunch—the Radisson is offering something for everyone! The special kids’ buffet is pint sized, so the children can create their own delicious concoctions. Children can dine on peanut butter and jelly pinwheels, grilled cheese sandwiches, hotdogs, fairy pancakes and macaroni and cheese. Brunch will be served from 10:30 a.m. to 3 p.m. For adults, the Radisson’s culinary team is offering a tempting selection. The buffet includes a fresh salad and fruit station and the option of creating your own omelet and waffle masterpieces. In addition, families can dine on gourmet slow roasted prime rib au jus and apple roasted pork loin, carved freshly by the chef. The Radisson is also offering a “create your own crostini station” with olive tapenade, hummus, roasted red peppers and more. Entrée options include Jail Island Atlantic salmon, wild mushroom risotto stuffed chicken breasts and broccoli rabe ravioli. To finish off your Mother’s Day brunch at the Radisson, there will be a wide variety of desserts including a chocolate fountain. The price is $29.95 for adults, $26.95 for senior citizens, and $14.95 for children under 12. Children under five dine for free. Indulge mom in a most decadent brunch buffet at The Bellevue, with the sweet delights of XIX’s new pastry chef Matthew Maslowski. XIX (Nineteen), situated on the nineteenth floor of the Park Hyatt at the Bellevue, offers one of the most breathtaking views of the city, with its gorgeous dining room and four balconies. This year, with renowned pastry chef Matthew Maslowski on board, the temptation to dine at XIX is almost too hard to resist. XIX will be offering a decadent brunch buffet menu, from 11 a.m. to 3 p.m., featuring over 20 dishes. Families can dine on savory fare such as: raw bar selections, poached eggs and black forest ham on buttermilk biscuits with cheddar cheese sauce, smoked prime rib, and maple-glazed free range turkey. A dessert table offering a variety of scrumptious sweets, compliments of Chef Maslowski (formerly of the Trump Marina Hotel, Lacroix and the Four Seasons), will offer: strawberry shortcake parfait, white chocolate raspberry martinis, blackberry panna cotta and more. Mother’s Day brunch at XIX is $65 for adults, $32 for children’s selections and children under five eat for free. For those in the Chester County region, West Chester’s well known eclectic Italian BYOB Avalon Restaurant is a safe bet for a terrific brunch or dinner with Mom. This year’s three course brunch options (which can be enjoyed weather permitting on a charming outdoor patio) include antipasti, an entrée and dessert. Avalon will feature a BYOV as well-a popular Create Your Own Bloody Mary bar during their 11-2pm brunch hours. The price is determined by your entrée selection and kids 10 and under dine for $12.95. Some of Avalon’s Mother’s Day 2009 brunch menu highlights include: cream of asparagus soup, lump crabmeat and grapefruit salad, sautéed P.E.I. mussels, cream of filet tips with poached egg, cheesy potato and pancetta hash ($29), and egg battered brioche with mascarpone and strawberries ($27). Avalon’s Mother’s Day dinner menu includes a four course small plate with antipasti, pasta, meat or fish and dessert. (For dinner, kids 10 and dine for $15.95.) The pasta choices alone for dinner are outstanding with gorgonzola, ricotta and poached pear tortelloni with a walnut basil pesto, and black and white crab ravioli with mussel, crab and tomato broth among the scrumptious selections. Entrée options include pan seared sea scallops with toasted orzo and blueberry vinaigrette ($37), Atlantic salmon with eggplant caponata and sun dried tomato aioli ($35) and slow roasted pulled pork with creamy polenta in an orange Sambuca sauce ($35). Cap off your perfect Italian meal at Avalon with lemon curd, chocolate mousse, or maple mascarpone cheese cake, among other sweet selections. The Philadelphia Zoo offers members and non-members a Mother’s Day brunch and a chance to experience the fantastic faces and personalities of their animals. It’s such an exciting year for one of Philadelphia’s great treasures as the Zoo celebrates its 150th birthday! 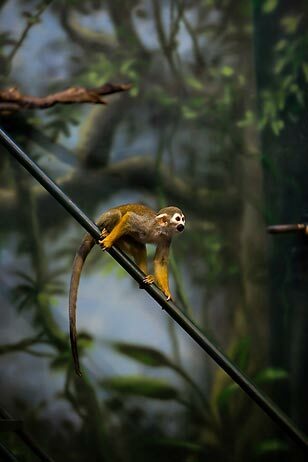 The Philly Zoo makes for a unique and rewarding Mother’s Day experience. Families can enjoy a special brunch and tour the amazing atmosphere this Philly landmark has to offer. The classic Mother’s Day brunch buffet will feature scrambled eggs, crisp bacon, country sausage, French toast and more. In addition, each seating will feature a craft table for kids, live animal interactions, the opportunity to see a special animal feeding and a self-guided tour of the Zoo’s animal mothers. For members, Mother’s Day Brunch at the Zoo is $35 for Adults, $30 for kids 2-12 and children under two are free. For non-members, its $48 for Adults, $43 for kids 2-12 and children under two are free. Suburban Square’s Plate Restaurant has a terrific reputation for extraordinary cuisine, and one of the Main Line’s best dining locales. After you treat Mom to brunch at Plate, you can enjoy all the outdoor shopping Suburban Square has to offer. In addition to their standard Sunday brunch menu, Plate is offering the following mouthwatering additions for Mom’s Day 2009: Asparagus Bisque ($7.50), Crispy Skin Artic Char ($26) with porcini mushroom risotto, roasted garlic haricot verts and port wine buerre rouge, Grilled Lamb T-Bone Chops ($28.95) with feta and oven-dried tomato cous cous, Maple-glazed Brussels sprouts, mint demi-glace and a sophisticated selection of Mother’s Day petit fours ($9) topped off with chilled strawberry bubble tea. Radnor restaurant staple Belrose 333 is a popular destination for Main Line moms. This year, Belrose is offering a classic buffet, from 11-3pm-$26.95 per person, children under 12 pay their age. The feast will offer a waffle, omelet and carving station, assorted fruits and pastries, a dessert table, and complete breakfast assortment. Patio seating will be available weather permitting and reservations are highly recommended. In addition to their Mother’s Day brunch, Belrose recently started a terrific special-buy one, get one free all entrees Monday through Friday from 5-6:30pm. The Mercer Museum’s 36th Annual Folkfest, a Bucks County tradition, falls on Mother’s Day Weekend. 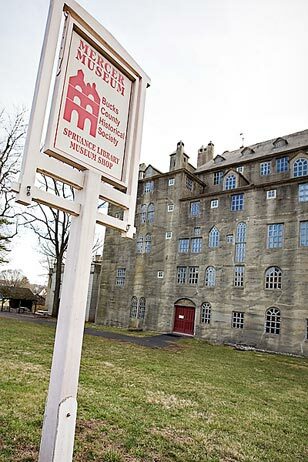 The Doylestown’s museum is in its 36th year for their annual Mother’s Day Folk Fest weekend. Rain or shine, families can enjoy a variety of family entertainment on the sprawling lush acres on Saturday and Sunday May 9th and 10th from 10 a.m. to 5 p.m. Traditional artisans will make the skills and trades of early America come to life with all-day live entertainment, costumed craft demonstrations, militia encampment, a quilt raffle, shopping, picnic foods and more. The children’s stage will feature puppetry, storytelling and music while the main stage will include performances by jugglers and blue grass music. In addition, there is a children’s craft tent where youngsters make a craft to take home. Visitors can also ride a horse-drawn hay wagon or take a unique horse-powered carousel ride. More than eighty talented crafters from nine states will participate in this year’s festival. For Main Liners, the Mercer is a short walk if you take the R5 and get off at the Doylestown station. And, the Folk Fest makes for an affordable adventure on Mother’s Day weekend. Admission is $9 for adults, ages 12 and under are free. For more information on the Mercer Museum, read our recent article on AML. 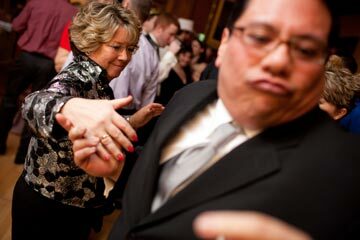 An AML staff and family favorite for over fifteen years, the sweeping front porch of The Wayne Hotel combined with the amazing menu Taquet regularly delivers make this a top consideration for wining and dining Mom. Now under new ownership, Taquet is making subtle changes to their menu this spring. And, come July, will be adding on their main bar area with an exciting expansion. If there is great weather for Mother’s Day, reserving a table on the porch will be tight so make your reservations ASAP! There are eight seating times total at Taquet for May 10th: 11/11:30, 1/1:30, 3/3:30 and 5/5:30. Mother’s Day menu highlights at Taquet include appetizers such as country pate with onion marmalade and cornichons; prosciutto and watermelon salad with Belgian endive; and house smoked Salmon with potato gaufrettes and baby argula.For their entree (ranging from $31-$47) choices, Mom can select from a grand assortment of ten dishes including: quiche with bacon, leeks and Gruyere cheese; braised Norwegian Salmon with tomato and extra virgin olive oil; rack of lamb with shallot emulsion; and sautéed shrimp over pea risotto with lemon butter. Dessert selections include: a floating island of poached meringue with crème anglaise and toasted almonds and an apple tart with a puff pastry served warm with ice cream. Taquet is also offering a children’s menu ($15.75 for children 10 and under) which includes as some of the options: carrot ginger soup, waffles and strawberries, scrambled eggs with roasted potatoes, ravioli, and dessert. Belgium phenomenon and the undisputed rock star of Main Line restaurants since their opening in 2007, TND will be the lucky destination for a few handful of families who secure their seat. Chef partner Andy Dickerson isn’t planning on any special Mom’s Day menu and the restaurant will honor its usual Sunday hours of 11am to 1am. 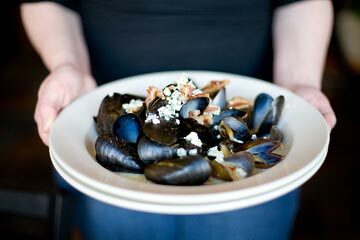 Make sure you order some mussels for Mom, complete with Teresa’s irresistible (and an AML staff favorite) pomme frites. The wings are a terrific way to start off on the right foot, along with the skewered grilled day-boat sea scallops wrapped in applewood smoked bacon with lemon horseradish aioli. Pair that up with a selection from the four page beer menu, and check out the Wurst platter: grilled bockwurst, knackwurst and bratwurst served with beer braised apple-kraut and German potato salad, strong mustard and a roll. For vegetarians, Teresa’s Herbivore entree offers grilled Portobello mushrooms layered and baked with gruyere, roasted plum tomato, caramelized leeks and artichoke hearts drizzled with 30-year-old balsamic vinegar and chive oil. Order Mom a cold Stella, be sure to tip Nick (the handsome bartender) generously and you are all set with TND as your day’s ideal destination. If you have not checked out the brand new restaurant on the banks of the Brandywine that everyone is buzzing about, be sure to call ahead for directions to Firecreek. The historic paper mill structure building does not have easily visible signs and sits in a rather unassuming fashion on the left hand side—if you drive into Downingtown via west on Route 30. It’s officially located at the intersection of 322 and Lancaster. 333 Belrose Chef Carlo deMarco and proprietor Ronald Donaldson, along with developers Tom Deignan and Kevin Silverang, opened their American grill on April 2nd. The main dining room is expansive, with sleek black tables, touches of tangerine, large banquet areas and a bustling, super friendly staff perfectly coifed in persimmon ties. Chef deMarco’s menu includes appetizers such as crispy calamari with cilantro lime aioli and a pan blackened crab cake duo. Among the dizzying selections for a main course are slow roasted prime rib with roasted garlic mash, blackened swordfish with pico de gallo and smashed yams and a domestic lamb loin chop with red pepper polenta, with Kennett Square mushrooms in a cabernet demi. Mother’s Day will be the first time Firecreek is open for biz on a Sunday. The restaurant will be offering brunch from 11am-2pm, with dinner from 4-7pm. In addition to a ‘make your own’ omelette option and Belgian style waffles, Firecreek’s inaugural brunch menu highlights include: a South of the Border breakfast burrito complete with chorizo sausage, scrambled eggs, black beans, pico de gallo and pepper jack cheese; a steak and eggs entrée accommodated by cheddar-scallion scrambled eggs and sliced tomato; and Firecreek’s cheese burger with Havarti, caramelized onion topped with a special sauce. If you decide to take advantage of Firecreek’s cozy setting for dinner, you can’t go wrong with the prime rib, partnered with buttermilk mashed potatoes, three-cheese mac and cheese, creamed spinach and an Argentinean cabernet. Be sure to request Christine to be your server. And, top off your terrific Firecreek Mom’s Day experience with the insanely delicious apple cider donut bread pudding, using donuts compliments of Marshallton’s Highland Orchards. Have a Mother’s Day favorite in the Philadelphia region you would suggest? Let us know-post your comments and recommendations below! Or, share with us where you dined and enjoyed Mother’s Day 2008 around the Delaware Valley. Mom’s day at The Wayne Hotel, can’t go wrong. Terrain at Styers for brunch, shopping and gorgeous atmosphere all in one. Concordville! Taquet at the Wayne Hotel is closed. The PHS Azalea Garden Party in May, is a great way to celebrate mom with the whole family.